While the northern region continues to shiver under continuously occurring cold fronts, the weather in the southern region remains pleasant, warm and sunny. Over the last two days, temperatures have increased considerably in the northern and central region as the cold front weakens. 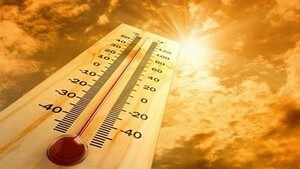 Mercury surged to 18-20 degrees celsius in Hanoi and several nearby places. However, easterly winds brought fog and drizzle across wide areas. According to the National Hydro Meteorological Forecasting Center, another cold front is moving towards the northern region sometime today, January 17. Northern mountainous areas will continue to reel under icy conditions, while the southern region will maintain temperatures at around 29-32 degrees celsius.